NOTE: The Beer Olympics event is currently full. Please sign up below to be put in the waiting list! Join us in the Roosevelt Beer Garden (K2) on Friday, April 19th for the official kick-off of Bellingham Beer Week. 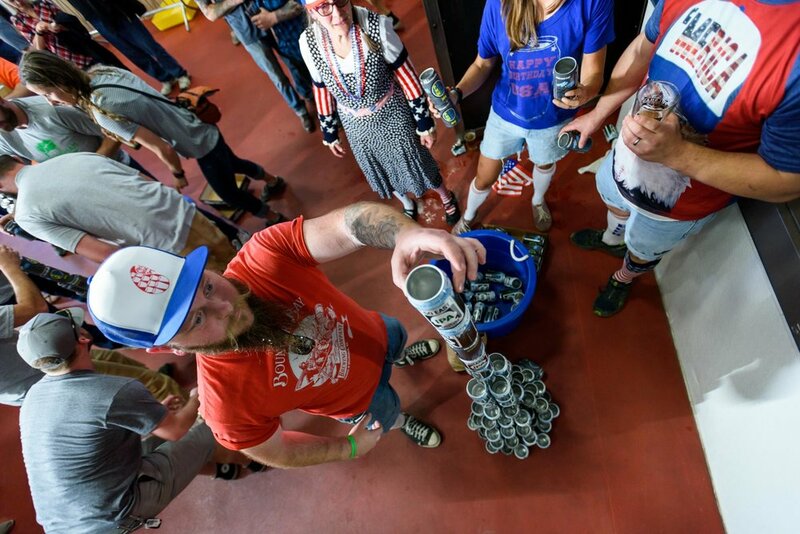 22 teams will compete in 8 Beer Olympic games for Bronze, Silver, and Gold medals (and bragging rights). Amazing prize packages for the winners, best costumes and team names. It’s the most fun you'll have all year! Come play spectator games, drink beer, and heckle the Olympians. Hot Mess Food Truck will be serving up their delicious Phillys with sweet treats from West Coast Pops. Thanks for signing up for the 2019 Beer Olympic Games! You are on the WAITING LIST and will be contacted if a team drops out. Please email courtneyl@kulshanbrewing.com if you would like to volunteer for the event!